Crystal, I feel like I have know both you and Kelli. I have listened to every single one of the #learntobloghangouts and was so excited to come to your site and see your key word #easyrecipes!!! I remember when you and Kelli were talking and you were talking about SEO and shocked to discover the word you were working on had dropped off! Hi Rhonda!! I remember you! How are ya? I am so glad you stopped by. Still working that easy recipes word, I am relentless. It finally comes up in my Webmaster Tools results- so, we’re making progress. It is just going to take a long time. Thank you so much for leaving your sweet comment. Words like these make every minute that Kelli and I invest into mentoring people 150% worth it! Yum! My husband would love this! Had to stop by from Mix It Monday and pin this for him! 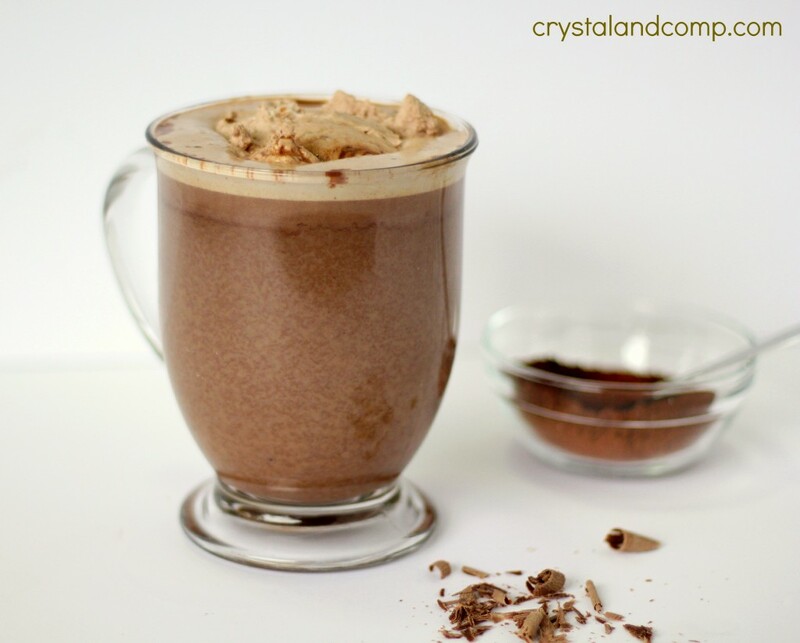 Love this hot chocolate idea! 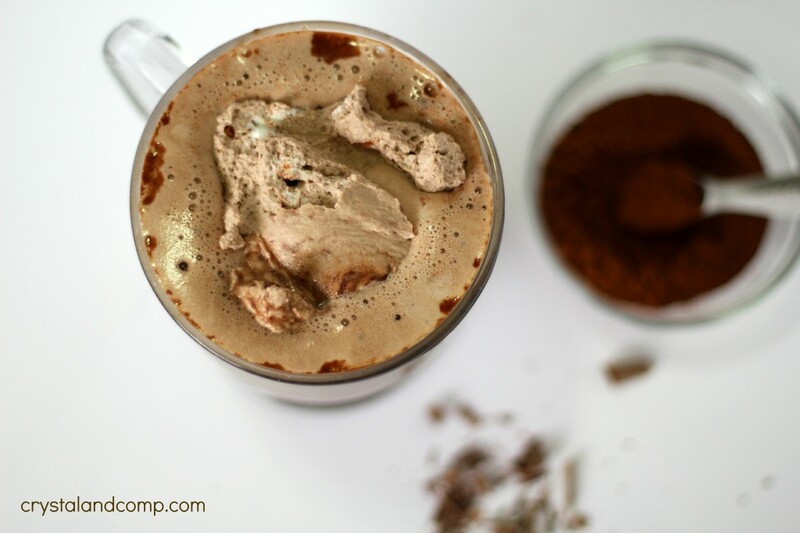 I have kids who consume waaaaaay more hot chocolate then they should! I will totally try this! Melissa- it is chocolaty and amazing! How did I miss this one?! AND why didn’t I think of it? So simple and love the whole concept of putting everything in a crock pot. My family gets together every Saturday for Bible study and this would be perfect this Fall and Winter. How many servings does this make? 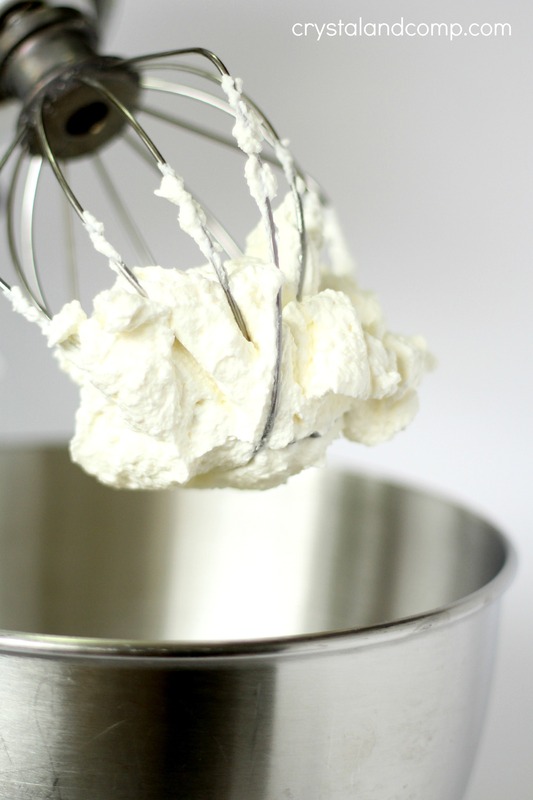 I’d like to try it for a Christmas party and wondering if I need to double the recipe! This makes 10-12 servings, but you’re not going to be abe to double it in one slow cooker. Too much liquid. You will just need to run two separate slow cookers. This looks and sounds so very good! I am wanting some hot chocolate with whipped cream right now! 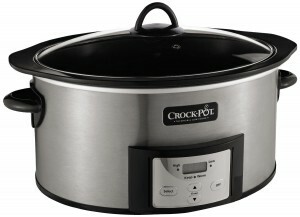 I like the idea of making in a crockpot! What a great cup of hot chocolate for this cold winter day! Hope you have a great week and thanks so much for sharing with us at Full Plate Thursday. I would love to have this is this cold weather! Thanks for sharing at Fiesta Friday party! I always forget the whipped cream! 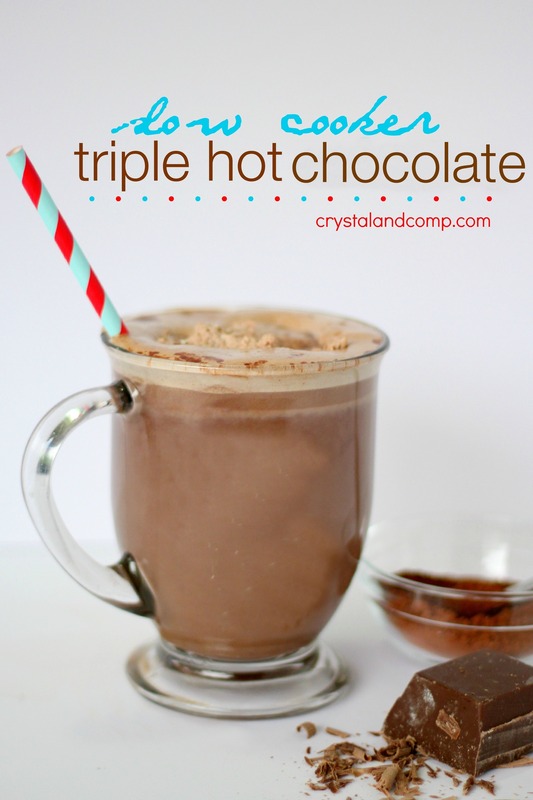 My kids love my homemade hot chocolate on the stovetop but this is a great way to have the hot chocolate on hand without worrying about scalding the milk.